Emirates currently flies to 141 passenger destinations. 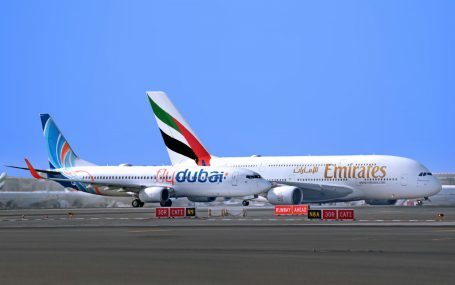 Last year, the airline launched new passenger routes to Newark via Athens, Zagreb and Phnom Penh, and later this year, Emirates will begin services to London Stansted and Santiago de Chile. flydubai currently flies to a total of 97 destinations, 80 of which are not served by Emirates.